Archaeologists from the University of Leicester uncover a trove of relics and remains at Chapel of St. Morrell in Leicestershire. Some relationships last a lifetime– and University of Leicester archaeologists have discovered that they can last even longer than that after unveiling two skeletons at a lost chapel in Leicestershire that have been holding hands for 700 years. The happy couple refused to be parted by death when they were found by a team of archaeologists from the University of Leicester Archaeological Services (ULAS) working alongside local volunteers during an excavation at the Chapel of St Morrell in Leicestershire, a site of pilgrimage in Hallaton during the 14th Century. 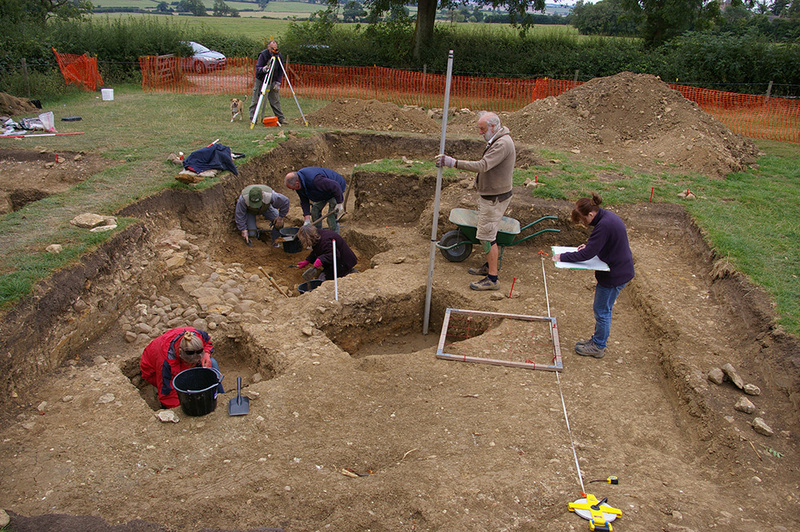 The four-year excavation project with the Hallaton Fieldwork Group (HFWG) has exposed the full plan of the chapel as well as the cemetery and evidence that the hillside has been used since at least the Roman period. As well as the touching skeletal union, the excavations have also identified the walls and tiled floor of the chapel along with fragments of stone masonry, wall plaster, tiles and lead from the windows. A number of silver pennies dating between the 12th-16th centuries have also been discovered at the site, giving an indication of when the chapel was in use. The team suspects the chapel may have been an area of pilgrimage. Alternatively, the bodies may have been refused burial in the main church, perhaps because they were criminals, foreigners or sick. 11 skeletons in total have been excavated so far, all orientated east-west in the Christian tradition and radiocarbon dated to the 14th century. Roman archaeology discovered beneath the medieval chapel suggests that the hilltop, which is the starting point for the Hare Pie Scramble and Bottle Kicking, has been a special place for over 2000 years. 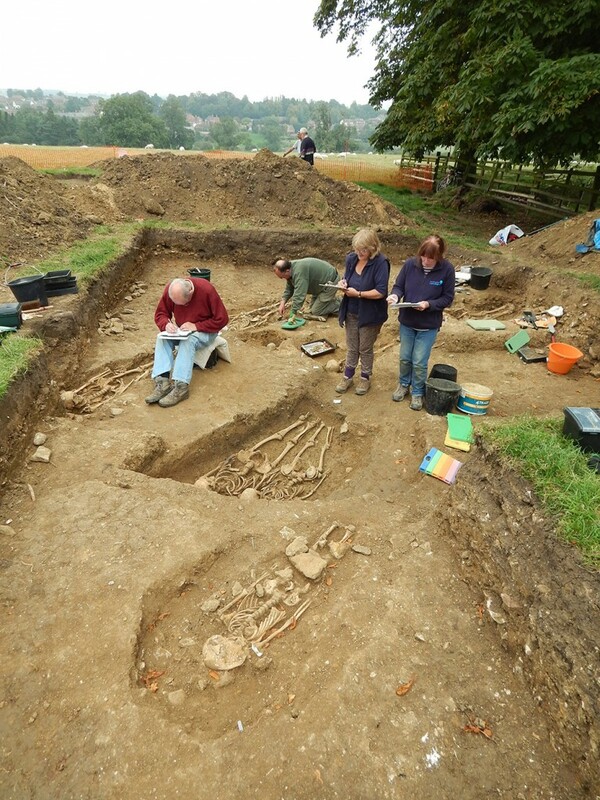 A recent open weekend to promote the excavations was very successful, with the local school being given a tour of the excavations and several hundred people visiting over the course of the weekend.